To Frivolous, dance music is about living life to the full, about acting out all possible human emotions in the eccentric, sweaty arena of a club. Daniel Gardner's tracks engage the crowds with grooves bursting of life and startling, eerie atmospheres. Exotic samples arranged into improbable yet emotionally charged atmospheres create a very special Frivolous experience: The sounds of a primeval forest encounters a dignified, aristocratic piano, a beautiful Russian Waltz gets twisted into an overturning house groove. Romance turns into contempt, one's home becomes alien and strange. 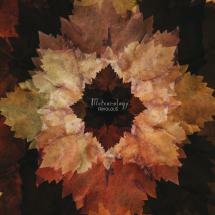 Frivolous' album Metereology deals with the experience of emotional extremes. Pulling us away from our pedestrian lives, the subtle compositions with Daniel's charming voice take us to remote places and distant times. The unconscious realization that you've heard a certain melody or sound before gives the album the qualities of an instant classic. Employing multilayered soundscapes Metereology ties in with Cadenza's earlier releases. Focusing strongly on the rhythmic sides of things, his new album is denser than its predecessors. The grooves have an enhanced inertia. Short melodic sequences create sustainable loops superseding elaborate forms on top. Frivolous merges his seminal genre bending qualities and jazzy intricacy into grooves that push the house sound as far into the experimental realm as physically possible. The sonic arrangements are fused into one immersive idea that engages the dancers completely. With these sonic landscapes one is never quite sure which objects exist in their immediate environment and which objects are super-imposed. The sounds become a reality of their own, they create imaginary spaces. In an experience as exciting as uncanny everyone on the dance floor realizes that the other, sonically projected environment is more real than anything else. In spring 2009, Daniel underwent his Berlin backlash which is an inevitable experience for visitors of the city as well as for longtime inhabitants. He struggled with the unfriendliness of Berlin's inhabitants and the city's lack of imagination and romanticism. The harsh neighbourhood he lived in and a complicated relationship made Daniel's life highly dissatisfying. But then an experience that is just an escape for most became reality for him: he had the chance to move to an island in the Pacific Ocean. Daniel packed all of his studio up into three suitcases and moved to this wonderful place where a very special breed of people dwelled. Roasting their own coffee, building their own houses, distilling their own spirits, producing their own soap, these humans lived a sophisticated lifestyle in complete connection with nature. Daniel moved to a small cabin on top of a mountain. The frogs croaking him good night was the only sound he could hear from his bed. Being exposed to the raw forces of a primeval forest and the sea, his creative juices began to flow. He started working on the album, the superiority of the nature and the ocean becoming its subjects. After four months of productivity and regained contentment Daniel's girl friend was supposed to join him on the island for a final month. But on the day before her expected arrival, she sent an email splitting up with him. From that moment on the residual time on the island became intense: did a two-and-a-half-year-long relationship just resolve into nothingness? Or should he jump on an airplane in a final attempt at gallantry? The title Metereology is related to this emotional rollercoaster: the crazy schizophrenic weather patterns we are currently experiencing makes it the ideal metaphor for the emotional turmoil that Daniel lived through. The album represents a journey with different emotional chapters: disappointment, depression, relief, excitement and exuberance for life. The eleven tracks span the spectrum of existential extremes and all the subtleties of emotional dissonance that exist between them. There is a mystical, idealistic side to Metereology relating to the crazy old ancient forests and the amazing landscape on this island. Yet there is an isolated, angry, frightened tone to it as well. The songs explore the whole range of experience from devoted love to detached solitude, from social commitment to radical autarchy. These contradictions separate the music from obliging escapism in order to express a significant human experience. All tracks written & produced by Daniel Gardner for Cadenza Records. Mastered by Rashad @ D&M, Berlin. Published by Cadenza Publishing. (p)&(c) Cadenza Records 2011. All rights reserved. Made in Eu. Distributed by Wordandsound.